There is still time to play along with our current challenge at Time Out. Our challenge this time is a photo challenge. 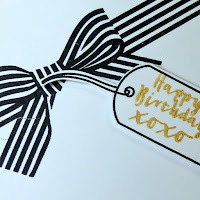 I picked up on the black and white stripes and the gold, and made this CAS birthday card using Avery Elle Beautiful Bow stamps. What a PERFECT take on this Joyce, it's awesome!! Sweet CAS birthday card, Joyce. That bow stamp is so cool. Great take on the photo. Love this. 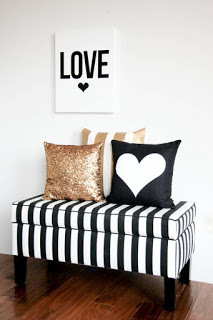 Joyce this is so perfect for the challenge graphic! Beautiful CAS take on the inspiration photo, Joyce...Love this elegant card! I don't know why I never got that bow, Joyce. 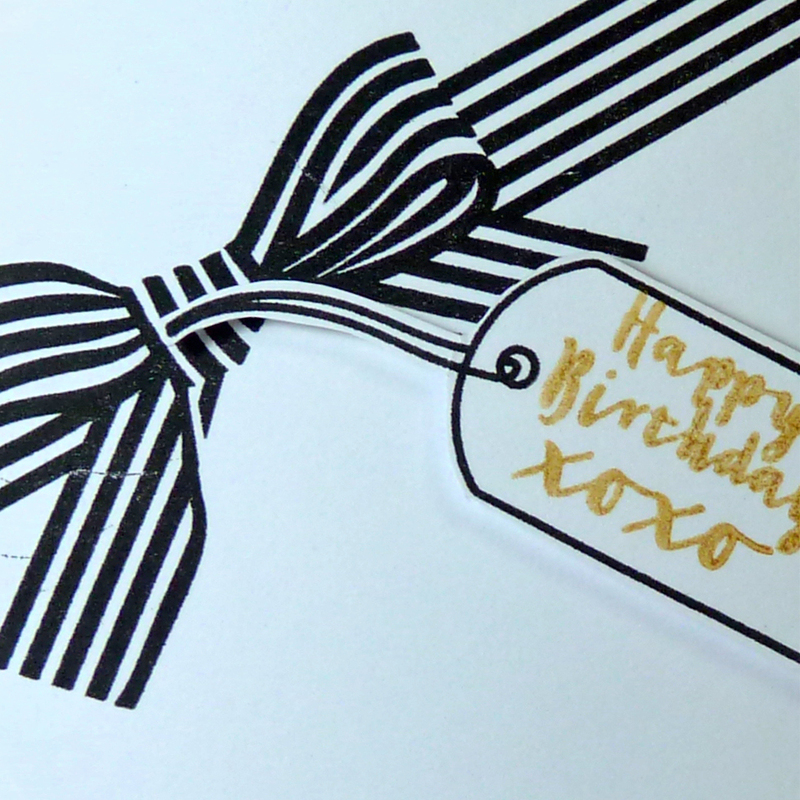 It makes a striking statement on your card and the gold embossed tag is perfect with it. I felt I should remind you that I HAVE it... just in case you'd like to borrow it some time in the Spring? That fabulous bow tie comes through every time, right Joyce? LOve it, and this fab card! I LOVE, LOVE, LOVE that bow. Perfect for this inspiration. Oh this is fabulous!! I LOVE that bow!!! Perfection!! 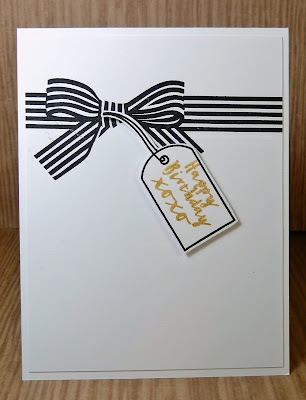 That Avery Elle stamp is so perfect for this challenge - I love how you used it and added the gold in the tag - such a gorgeous take on the inspiration photo!